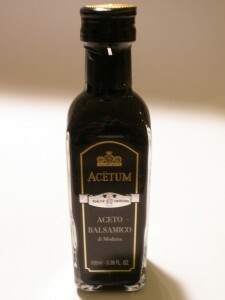 This is a Silver Label, 2 Leaf Balsamic Vinegar. The consistency of this is slightly thicker than the Red Label. This has a stronger flavor with the vinegar still being quite pronounced. This was very nice with fresh mozzarella and the flavors are full and well proportioned.